The little medieval settlement of Hill Hook did not amount to much - a few cottages, a farmhouse and some fields surrounded on all sides by open common land. The origin of the name is obscure, although Hill Village was not far away, on the other side of common land known as The Oslet. Probably the “Hook” refers to a piece of fertile ground which was used by the villagers of Hill, deriving either from some hook-shaped feature or a corruption of “nook”, meaning an isolated piece of land. In the sixteenth century population growth caused overcrowding in some parts of the country, and sometimes a displaced person would find his way to Sutton and make his home on a patch of common land as a squatter. Hill Hook attracted a number of squatters over the years, and by 1698 the number of households there was about fourteen, most of them living in humble cottages and earning a living as farm workers. Some of the cottagers were craftsmen, making a living from some cottage industry. Edward Hands of Hill Hook was a cordwainer (cobbler) whose house was licensed as a place of worship in 1785. At the time there was a strong tide of dissent among poor craftsmen, and many small independent chapels came into being, but Edward Hands left the district shortly after 1785 and Hill Hook chapel closed down. For most of the eighteenth century the Bickleys were the principal family at Hill Hook, having a farm, Hill Hook watermill, and three rented cottages. 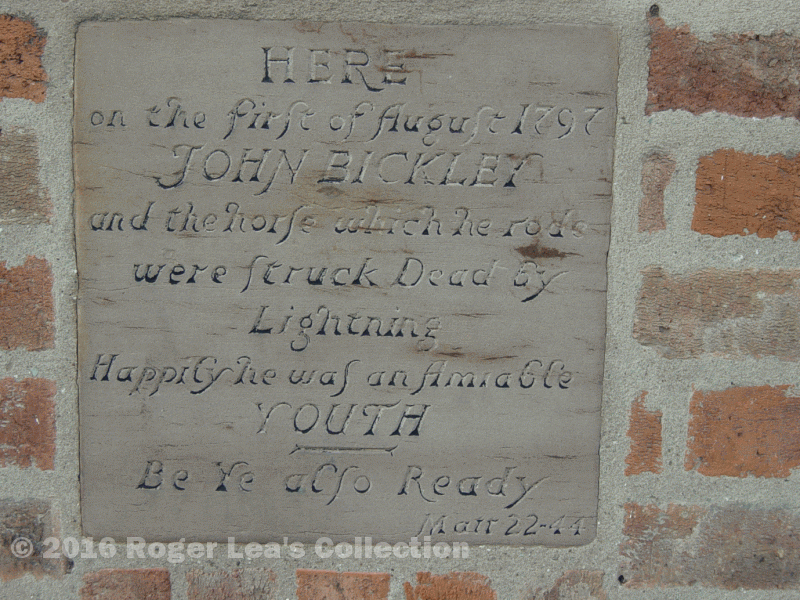 Their fortunes were mixed, a litigious Bickley tried to prosecute the Corporation of Sutton in the Court of Chancery in 1726, ruining himself and losing his mill, but the Bickleys were thriving at the end of the century when tragedy struck - young John Bickley and his horse were killed by lightning. In 1824 there were twenty houses in Hill Hook, but the hamlet began to lose its identity when the commons were enclosed the following year, although it remained a rural spot until housing developments swallowed it up in the last decades of the twentieth century. The Bickley Stone, now built in to the wall of Hill Hook House in Clarence Road, had previously been in the garden wall of Hill Hook Farm since 1797.